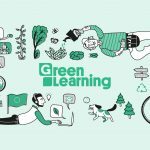 Every year, the Green European Foundation organises and supports a number of Green Summer Universities across Europe. 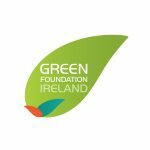 These educational and political events are hosted in collaboration with national Green partners. 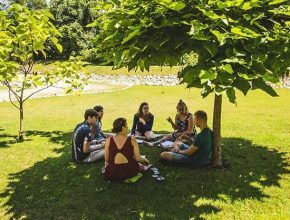 Each summer school explores one or several topics, reflecting on relevant ongoing social, political and environmental issues and providing participants with analysis, space for debates and capacity-building. 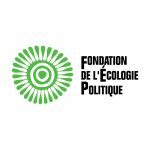 The summer academy is organised with the support of Fondation de l’Ecologie Politique, prior to the “Journées d’été des écologistes” (JDE) by EELV in Strasbourg, France, in August. 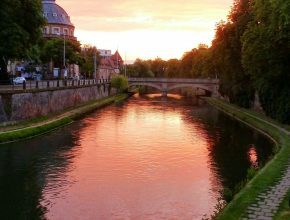 Primarily targeting a broader audience of European Green activists, the event will aim to enhance the knowledge about the EU or European topics of green activists coming to Strasbourg within an event that is more relaxed than traditional conferences and therefore facilitates dialogue and active participation among the attendees. 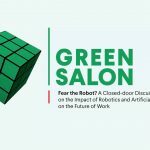 One plenary on environmental inequalities and one on the Commons are envisioned, together with three workshops: – Better know your EU (based on GEF’s Europe for Beginners and the Impact Europe online course) – The future of work – Artificial Intelligence. The Green Academy is now established as an exchange and knowledge building platform for green and progressive communities across Europe, organised in collaboration with the Institute for Political Ecology (IPE) GEF will organise a specific workshop under the title ”Moving Beyond Fragments” that will offer relevant cutting-edge knowledge to participants (from Doughnut Economics and Eco-Sufficiency to the concept of a Good life for all) through interactive formats of learning. The event is organised in partnership with Strefa Zieleni, with participation of environmental activists from Ukraine and Belarus. The main focus of the Green Summer Academy (GSA) 2018 will be the topic of borders, looked at from many different perspectives. Climate change will be the second important topic, in the run up to COP 24 in Katowice, Poland. 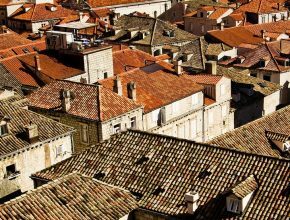 As the GSA will take place only a few months before the local election in Poland, local governance in cities and in rural areas will still be an important topic as well. The Green European Foundation will contribute to the Europeanisation of the GSA 2018. 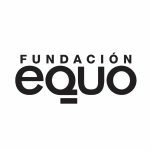 Already in its 10th year, the 2018 edition of Univerde, is organised in partnership with Fundación Equo in the beginning of September, and will discuss climate change, democracy, citizen movements, gentrification, water and food supply, the relationship between the urban and the rural. It will highlight positive European experiences that can be replicated in other cities. A special emphasis will be put on the involvement of local councillors and other agents of change at the Univerde so the discussed and learned ideas can be put in practice. A special collaboration with GEF’s very own Green European Journal is foreseen in light of its most recent thematic edition “Talk of the Town: Exploring the City in Europe”, which focuses on cities and their significance across Europe and beyond, both as the site of key transformations and new dynamics, but also as political actors in their own right. The aim of the two-day summer school organised with the support of Green Foundation Ireland, is to propose policy changes not only in response to the Milan Urban Food Policy pact but also to the review of the EU common agricultural policy which will take place in 2018. The summer school will look into how local food policy can develop a healthy, sustainable & resilient food system in partnership between statutory, community and voluntary groups, educational institutions & businesses. Moreover, the programme will include the visit of community food initiatives that seek changes to the food system by improving equitable access to quality food and create a fairer, healthier, secure and sustainable food system and reduce the environmental footprint of food. The broadening and deepening of global food production and supply has been a powerful force of economic, social and environmental transformation for the last three decades or more with profound changes, not only to farming systems that become locked into industrial commodity production, but also led to major ecological ruptures: The productivist agri-industrial model has achieved a remarkable grip over the policy agenda surrounding food security. Yet the consequences include growing concern over emissions of greenhouse gases, the quality and availability of freshwater stocks, and impacts upon biological diversity, ecological services and waste sinks worldwide. 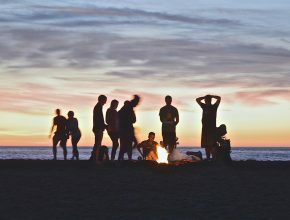 The Summer University of the Catalan foundation Nous Horitzons is a yearly gathering of local elected officials, regular members of the party base and interested young people to exchange ideas and have green practical debates. The Summer University is a place for dialogue and political education – with an even greater focus in 2018 on a positive outlook towards a democratic European future. GEF will support the Europeanisation of the debates featured at the Summer University. The current political situation in Catalonia as well as the rise of Euroscepticism make it more important than ever to offer this space for debates and integrate a European dimension. Recently, Catalonia has suffered a deep democratic crisis with many people feeling abandoned by Brussels and therefore adapting more Eurosceptic positions – even within the Green movement. 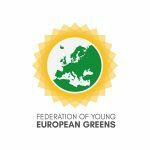 The Summer Camp of the Federation of Young European Greens ‘Fighting for our common planet’ aims to empower youth organisations to advocate for the sustainable management of natural commons. In particular, emphasis will be given to the importance of preserving the common good of a liveable climate as a prerequisite for peaceful communities in Europe and in Europe’s neighbours. GEF will be present at the camp with a workshop ‘The role of youth in combating climate change’. Climate change is the most pressing struggle the young generation is facing today, and it is a global problem that can only be tackled jointly, as climate is an example of a natural good that crosses all the borders. 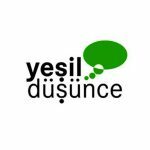 For more than ten years, the Turkish Green Thought Association has been organising its “Yesil Kamp” (Green Summmer Camp), which brings together more than 130 people every year. It takes place at the end of July, in Assos-Canakkale, Turkey. 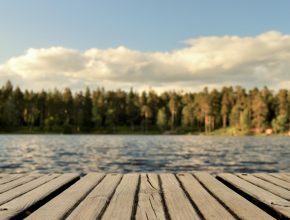 In 2018, the European dimension to the Yesil Kamp should be strengthened with GEF’s involvement through a specific European Summer School “European Green Alternatives”. The theme will be alternative policies and how to communicate them. It will focus on alternative ideas and political solutions in areas such as gender equality, energy, food, education, and transportation. Inspiring representatives of various different European movements will be invited to share their experiences and knowledge. 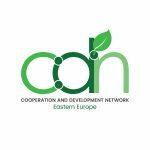 One key aspect of the Summer School will be the strengthening of the European Green network, as the project will spark an interest in European politics and educate on latest European debates (like universal basic income or migration) among the Turkish participants, while it also provides the opportunity for international attendees to be exposed to the Turkish Green perspective as well as of participants from other European countries. 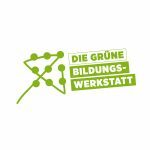 GEF, with the support of Grüne Bildungswerkstatt, the Austrian Green Foundation, is contributing to the development of a Green Manifesto of the Austrian Greens, as part of the recovery from the devastating election results in 2017. A clear positioning and a joint understanding of socio-ecological politics based on Political Ecology will become a cornerstone in re-positioning the Austrian Greens. Key findings of previous GEF (transnational) projects, such as ECOPRO, will serve as a basis for this process which will consist of key events (two open symposiums and a Green Academy) and several smaller, more decentralised events. 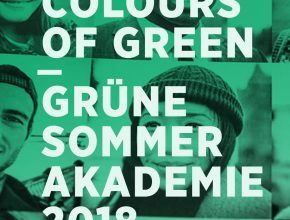 GEF will contribute to the European dimension of the Green Summer Academy, taking place in Graz, from 7 to 8 July, by supporting special English tracks of the programme as well as supporting the participation of international attendees and speakers to open this collective brainstorming to the wider European green movement. 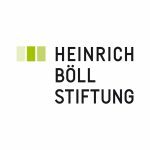 The congress is organised in cooperation with the Heinrich Böll Stiftung, the Federation of Young European Greens, the Cooperation and Development Network and the Czech Young Greens. 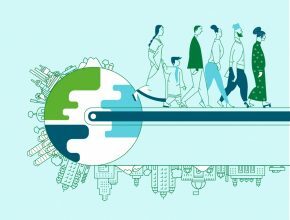 At the four-day Congress, taking place in Prague, selected participants from all over Europe will have a chance to come together to discuss their visions of Europe’s future. 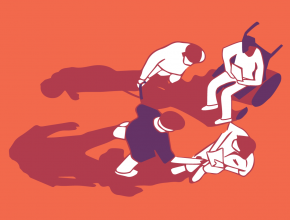 The main theme of this year’s Congress of Young Europeans is protest and activism in time: How activism in the past has shaped our present, and how the young generation of today can shape our future. For further retrospective of our summer universities, check out our 2017 archive.